Baking Soda Overdose is the accidental or intentional intake of a product containing baking soda in dosage higher than prescribed/recommended values. What is Baking Soda Overdose? What are the Causes of Baking Soda Overdose? Note: The compound can interact with other prescribed or non-prescribed medications in the body. Such interactions may enhance the therapeutic effects of the drug or other medications being taken, resulting in undesired side effects (such as an overdose). What are the Signs and Symptoms of Baking Soda Overdose? How is First Aid administered for Baking Soda Overdose? Who should administer First Aid for Baking Soda Overdose? 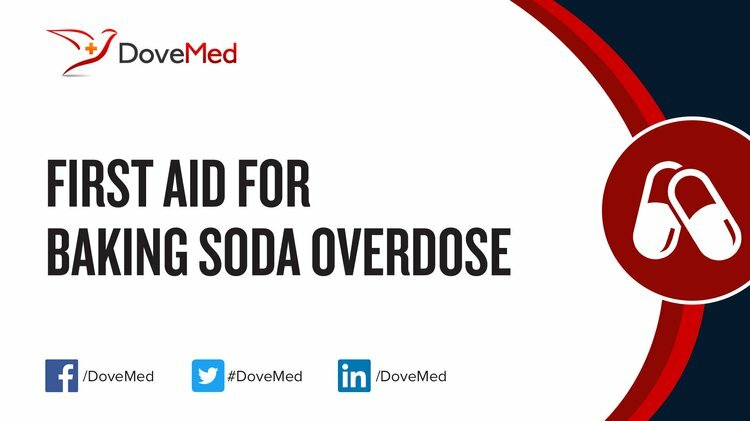 First aid for Baking Soda Overdose is administered by healthcare professionals. What is the Prognosis of Baking Soda Overdose? How can Baking Soda Overdose be Prevented? Al-Abri, S. A., & Olson, K. R. (2013). Baking soda can settle the stomach but upset the heart: case files of the medical toxicology fellowship at the university of California, San Francisco. Journal of Medical Toxicology, 9(3), 255-258. Al‐Abri, S. A., & Kearney, T. (2014). Baking soda misuse as a home remedy: case experience of the California Poison Control System. Journal of clinical pharmacy and therapeutics, 39(1), 73-77. John, R. S., Simoes, S., & Reddi, A. S. (2012). A patient with foot ulcer and severe metabolic alkalosis. The American journal of emergency medicine, 30(1), 260-e5. Chamandoost, S., Naderi, M., Afshar, H., & Kamali, K. (2015). Amount of Baking Soda and Salt in Bakeries of Zanjan City in 2011. J. Hum. Environ. Health Promot, 1(1), 56-62. Soliz, J., Lim, J., & Zheng, G. (2014). Anesthetic Management of a Patient with Sustained Severe Metabolic Alkalosis and Electrolyte Abnormalities Caused by Ingestion of Baking Soda. Case reports in anesthesiology, 2014. Morrison, C. M. (2013). Beyond Perfection: Can the Insights of Perfecting Criminal Markets Be Put to Practical Use. Colum. L. Rev. Sidebar, 113, 66. Dhami, J., Devineni, H., Milnes, C., & Jagadesh, S. (2016). 1976: SEVERE HYPERKALEMIA WITH TRIMETHOPRIM/SULFAMETHOXAZOLE AND IRBESARTAN USE: A NEAR-DEATH CONSEQUENCE. Critical Care Medicine, 44(12), 569. Siegel, H., & Gillingham, K. (2015). Totally Carrot Cookbook. Celestial Arts. Roach, M. (2013). Body: All you can eat. New Scientist, 217(2908), 42-44.